Jennifer Tipograph, DDS is a caring, passionate holistic dentist treating patients at Natural Dentist Associates in Rockville, Maryland. Dr. Tipograph is a native Washingtonian. She received a Bachelor of Science from Virginia Polytechnic Institute and State University. After completing her degree at Virginia Tech, Dr. Tipograph returned to the area to work as a dental assistant at Natural Dentist Associates for Dr. Kimberly Baer. Following her apprenticeship as a holistic dental assistant, she attended Howard University College of Dentistry where she graduated third in her class and earned her Doctor of Dental Surgery degree. Dr. Tipograph continued her training to become an accredited member of the International Academy of Oral Medicine and Toxicology. She applies her passion for biological dentistry to ensure the highest standard of treatment for each of her patients. Dr. Tipograph provides individualized, patient-centered care that focuses on maintaining the patient’s overall well-being. She enjoys working with people of all ages, including babies and children. Dr. Tipograph keeps her practice and skills up-to-date through regular dental conferences, continuing education courses, and seminars. Patients visiting Dr. Tipograph at Natural Dentist Associates can receive a full range of dental services. She provides metal free crowns, fillings, extractions, dental cleanings, preventive care, and general consultations. Treatment is also available for temporomandibular joint issues and dental emergencies. Dr. Tipograph is proficient at placing metal free implants and titanium implants. She also offers adjunctive services, such as PRF, bone grafting, and safe amalgam filling removal. Dr. Tipograph is certified to treat orthodontic and dental skeletal conditions with holistic orthodontic appliances, including the DNA Appliance. Dr. Tipograph volunteers at the Hebrew Home to help patients undergoing rehabilitation and at local Mission of Mercy projects to address the oral health needs of the underserved. She also goes abroad once a year with Kids International Dental Services (KIDS) to places like Cambodia and the Philippines to provide dental care to impoverished children. In addition, Dr. Tipograph is the president of the local Alpha Omega chapter, where she oversees the continuing education program and membership of over one hundred dentists. 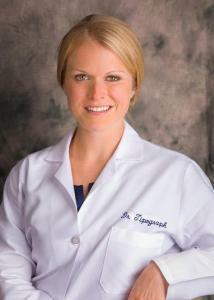 When she is not treating patients, Dr. Tipograph enjoys exercising and spending time with her family.